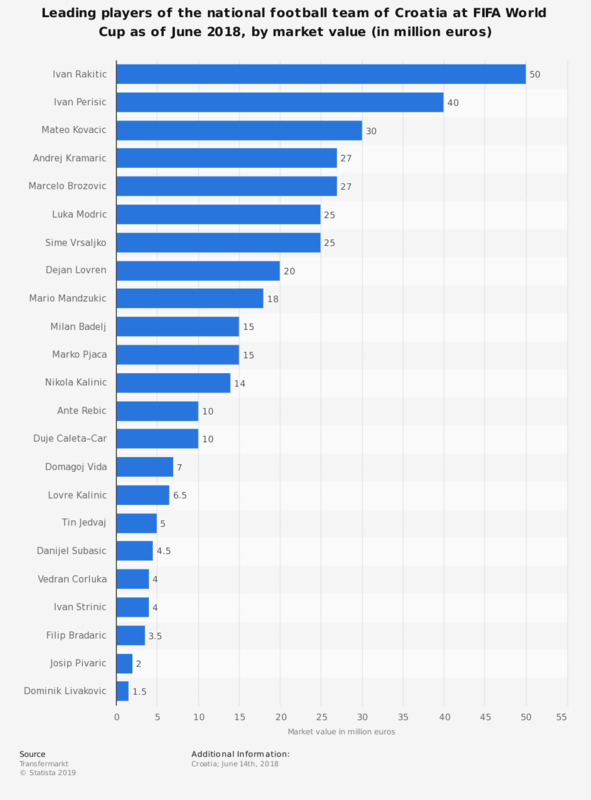 The statistic displays the leading players of the national football team of Croatia at FIFA World Cup as of June 2018, by market value. The most valuable player was Ivan Rakitic, with a market value of 50 million euros. Everything On "National football teams in Central and Eastern Europe" in One Document: Edited and Divided into Handy Chapters. Including Detailed References. Statistics on "National football teams in Central and Eastern Europe"